The nights in Havana come alive to the rhythm of salsa, rumba, boleros and many other musical styles, from classical and jazz to reggaeton. There are countless bars and clubs where you can listen to bands playing such lively rhythms that you'll just want to get up and dance. 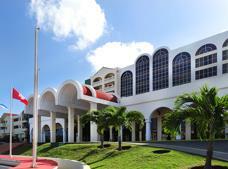 It is even possible to listen to world-famous bands play live at some of the luxury hotels in Vedado. A good idea is to ask at your hotel or get the "Cartelera", a free entertainment magazine, to find out about the shows and performances that are on during your stay. Music is part of every Cuban's life, and all the streets in Havana can in an instant become a venue for a live music gig. The bars around Plaza de la Catedral (Cathedral Square) are really vibrant establishments, and you must also take an evening stroll along the Malecon (Promenade), so you can mingle with the locals and experience the nightlife in Havana. 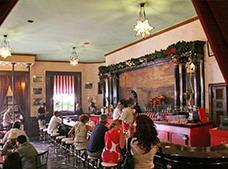 There are many bars in Havana that are well worth visiting. 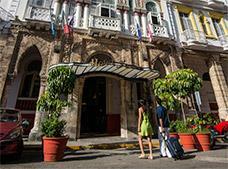 One of the best known is La Bodeguita del Medio, located in Old Havana. This bar opened in the '50s and it was a favorite place for celebrities of that time, who left their autographs on the walls. You can't possibly leave Havana without trying a Mojito at this bar, they truly are magnificent. This bar is known for its live music. It has a vibrant atmosphere and it's very popular with the young local crowd. There are performances throughout the day and night. It's a great place to visit if you want to dance until the wee hours of the morning. This bar is a great choice for any fan of romantic music. 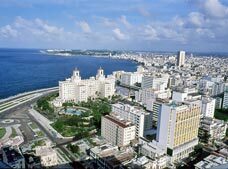 Located in Miramar, it is known as the Bolero Corner of Havana. You can listen to the most famous bolero singers and enjoy their romantic Cuban and international songs. Although Dos Gardenias is quite a small place, the entertainment and the music are excellent. 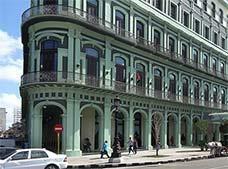 This bar is excellently located above the Teatro Nacional de Cuba, at the corner of Plaza de la Revolucion. It's a popular club with lots of great live music. 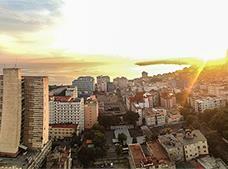 Featuring a splendid view of the city's main square, Piano Bar Delirio Habanero has a laid-back, relaxed atmosphere. This is one of the newest clubs in Havana, but it has quickly worked its way up the list of favorites because of the fantastic bands that play salsa and Cuban music here. They actually have two locales, one is on Calle Galeano and the other one is on the beach at Miramar, although the latter is older and smaller. Whichever you decide to go to, you can be sure you'll see some of the best salsa bands in Cuba. 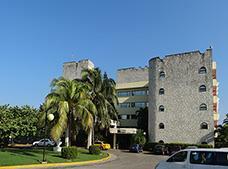 Located in an area known as La Rampa in Vedado, this bar features gigs played by the best Latin jazz music performers. It's a pretty laid back bar and the music is great. They serve an array of Cuban drinks, as well as cocktails and snacks. 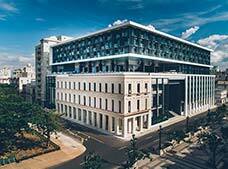 Located at the Hotel Melia Cohiba in Vedado, Habana Cafe features some of the best shows in Havana. They have bands that play son and guaracha music, dance performances, stand-up comedians, and even magicians to keep you entertained. 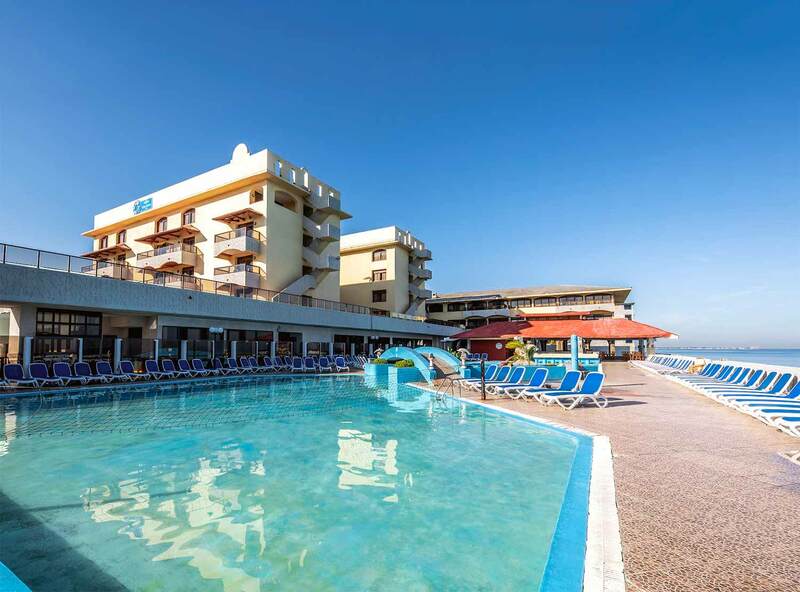 It has a lively yet exclusive atmosphere. This dance hall features the most famous Cuban bands performing all night long, as well as music mixed by excellent DJs. The building's beautiful architecture dates back to the beginning of the 20th century and inside you'll find elegant decor and a relaxed atmosphere. 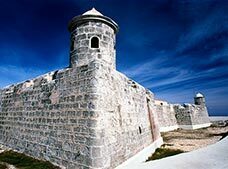 It's located at La Giraldilla, a mall and entertainment center for tourists, featuring several gourmet restaurants and bars. There's also a splendid garden with a beautiful 270 year old Carrara marble fountain, as well a smoking room with an exceptional selection of cigars. 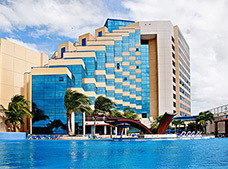 Located in the Marianao neighborhood, the legendary Tropicana offers a retro experience with all the glamour of the '50s. It is a cabaret show with over 200 dancers and singers dressed in lavish costumes made of feathers and sequin. The show features Cuban and Caribbean music and lasts about 2 hours. This cozy little cafe bar, is located in the foyer of La Rampa Cine, the local movie theater. They serve an excellent selection of coffee, including some of Cuba's finest blends. Located in Old Havana, inside a hotel of the same name, this pleasant bar was named after the famous Latin jazz musician Arturo "Chico" O'Farril, one of the greatest icons of this genre. It is beautifully decorated and features an interesting photo exhibition along with an open-air terrace. Cabaret Parisien features a live show with over 100 dancers and singers who take you on a musical tour of the greatest musical genres of Cuba and the world. The show is divided into two sets, the first is a music show and the latter involves the audience in a kind of dance class where you learn the basic steps to all the Cuban rhythms. Cabaret Parisien really is a lively, fun place to spend an evening dancing with friends. Located in a gorgeous 18th century palace, in the heart of Old Havana, Havana Club recreates the atmosphere of the old rum warehouses of the '30s. 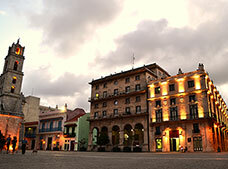 It features a restaurant that serves delicious creole and international cuisine, as well as an excellent bar, where they make all of the famous Cuban cocktails to the beat of Cuban Son music. It's a popular gathering place for actors, artists, bohemians, and musicians. 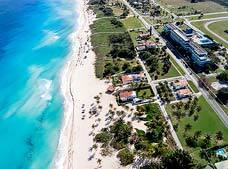 There is always a chance that you might get to see performances by some of the best singers in Cuba. 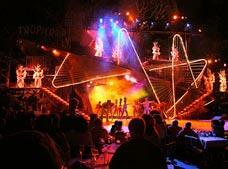 As you can see, the nightlife in Havana has numerous options for entertainment, of which we have only mentioned a few. Now it's up to you to make your mind up as to where you'd like to go. The fact of the matter is that the nightlife in Havana is a pulsating and vibrant experience that you just won't want to miss.